In 2011 we began our journey to develop our engineering services for the space industry. This was a natural evolution of our longstanding heritage in gears and motion control technology for the terrestrial aerospace sector, combined with over 30 years of building complex vacuum assemblies in a clean environment to meet the needs of the scientific sector. With support from the UK Space Agency and guidance from the European Space Agency (ESA) we have carefully expanded our design and manufacturing facilities and developed our operational processes to meet the stringent requirements of space. 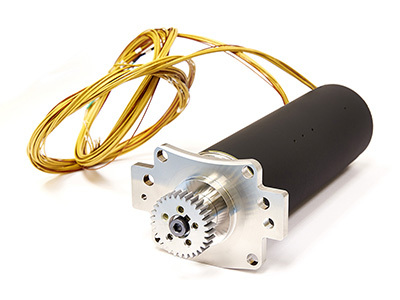 Today, components manufactured by Reliance to customer specifications are working on satellites in orbit and we have developed a range of motor gearboxes designed specifically for space. Reliance has progressed through a 5-year product development programme with ESA; from ARTES 3-4 Telecom Newcomers, through ARTES 5.2 Technology Development, to ARTES 3-4 Product Qualification. This measured, conservative path, assisted by Airbus Defence & Space Limited, has enabled us to adapt our established Product Assurance processes in line with space requirements. We have developed our design knowledge and our operational skills and facilities with regard to space – in materials and process control, in environmental testing, in tribology, in cleanliness disciplines, and in designing products for high vibration, long-life applications. To further Reliance’s specialist gear expertise in relation to space we have undertaken CEOI-ST funded research into low speed tribology, in collaboration with ESTL. Test rig development expertise has also been further developed via a collaborative technology project with Oxford Space Systems, jointly funded by NATEP (National Aerospace Technology Programme). Reliance is one of the founding members of the UK Space Mechanisms Working Group, having chaired the group between 2013 and 2015. This forum provides a valuable link between mechanisms experts from the satellite primes, smaller industrial and research organisations and academic institutions, together with Innovate UK. The group also has links to the UK Space Agency and ESA which provides a strong foundation for sharing knowledge between the agencies and industry. Reliance has supplied bespoke components, manufactured to customer specifications, which are now in orbit in satellite mechanisms or part of current build programmes. 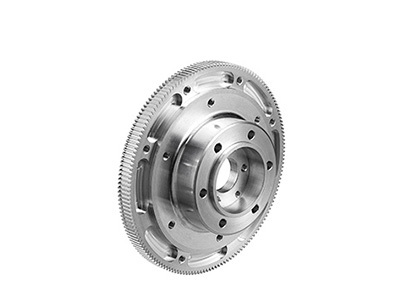 These include gears and other complex components with demanding manufacturing tolerances and features. Delivering these projects successfully has enabled Reliance to evidence that the company has the necessary Product Assurance procedures to supply high-quality parts, to drawing and defect-free. Reliance has made a successful transition from terrestrial aerospace to space in our approach to new product development. We have undertaken a number of customer specific concept designs, taking two motor gearbox projects through detailed development, manufacture, assembly, test and into qualification for use in space mechanisms. These products have been designed by Reliance and are manufactured in the UK, providing proven building blocks for future customers. 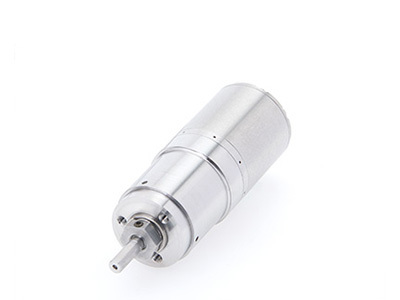 This 51 mm OD Stepper Motor Gearbox has been developed under ESA’s ARTES programme (‘EuroSMG‘). It has been designed for a high-power telecoms satellite application, with the requirements specified by Airbus Defence & Space Limited. This 25 mm OD Stepper Motor Gearbox has been developed under the UK Space Agency’s NSTP3 programme. It has been designed for a commercial earth observation satellite application, with the requirements specified by Surrey Satellite Technology Limited. Reliance supplies bespoke gears and complex components for use in space mechanisms such as solar array drive mechanisms and antenna pointing mechanisms. Our gears have flight heritage in a range of satellites currently in orbit. The component shown is used by Airbus Defence & Space Limited on their highly successful Eurostar3000 satellite platform. This thin-walled component, when combined with the properties of the material used, is highly unstable during manufacture. 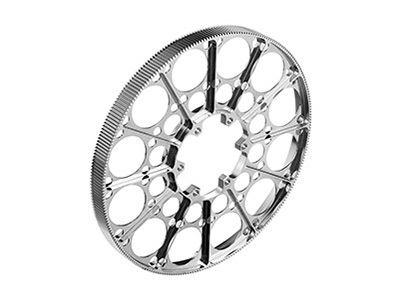 Its complex features must be machined to micron-level tolerances, followed by an aggressive surface treatment to produce the necessary surface finish. Each component must be made to a measured, repeatable standard, with no inconsistencies. 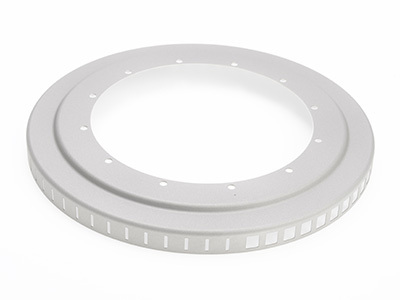 Following initial development trials, Reliance has consistently supplied this delicate part completely defect-free, a critical requirement for our customer. Surrey Satellite Technology Limited (SSTL) is well known for: “Changing the economics of space”, with Commercial-Off-The-Shelf (COTS) products being an essential part of delivering the company’s commercial objectives. 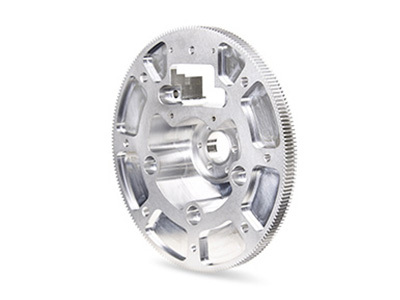 Reliance supplies gears from our standard catalogue range, modified to suit SSTL’s requirements, together with custom gears manufactured to their design, providing a complete end-to-end gear package for use in SSTL’s Antenna Pointing Mechanism (APM). The gear shown has been supplied since 2013 and is currently working in orbit as part of a number of earth observation missions. We cover a broad range of disciplines, including mechanical, electronic and control engineering, with a core design expertise in complex geared components and high performance geared assemblies. Co-location with our production facility helps secure effective design implementation, whilst unique test and validation capabilities provide customers with confidence in the quality and performance of their equipment, securing effective market launch and reducing through-life costs. We offer practical experience in bringing product designs into production, with design engineers working alongside production engineers and operations teams at Reliance’s UK manufacturing facility. We are engaged in business process improvement activities and invest £2 million annually to ensure that we keep our precision machining and metrology capabilities at the forefront of the manufacturing industry. Reliance supplies concession-free components and fully tested assemblies for use directly into final production, helping our customers reduce supply chain management costs. We provide a single point of contact for the supply of critical sub-systems, combining our own manufactured and bought-in parts, together with our customers’ preferred suppliers. By working collaboratively we have demonstrated that we are able to respond effectively to our customers’ plans for growth and support their supply chain strategies effectively. Contamination control is vital to production yield. It is essential to provide the most appropriate assembly environment for projects with different cleaning procedures and different sensitivities to contaminants. Reliance has a suite of cleanrooms, each established to support particular needs of customer projects from a range of markets, including scientific instruments and aerospace and defence. To prevent cross-contamination and ensure the necessary disciplines and procedures are adhered to, a separate clean area for space has been introduced. With over 60 years’ experience in serving the aerospace and defence sectors Reliance is able to demonstrate consistent achievement of the stringent performance criteria required by these industries. This is further strengthened by successful audits and product supply to space primes and recognition from ESA. We have built longstanding relationships with major OEMs, systems integrators and prime contractors. We ensure a consistent approach based on established operational disciplines and methods, and thorough build standard control. This allows us to manage effectively a combination of in-house designed and manufactured elements and externally sourced components, including those from both our own and our customers’ supply chains. Our size and independence means that we can adapt to the needs of our customers’ organisations and adopt their operational procedures alongside our own systems. A strong project management approach, drawing upon operational experience and close customer collaboration, ensures that major new projects are introduced into production with confidence, helping to reduce time to market for new products. As a BS EN ISO 9001 and AS9100 approved company, Reliance is committed to providing high standards in product and service delivery. 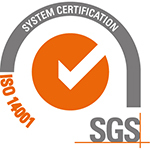 We adhere to the stringent quality and product assurance requirements set out by our space customers, with tightly controlled operational processes and IT systems in place to evidence all activities throughout production. We welcome all new customers to visit our facility in Huddersfield and witness our systems and procedures. Effective application of metrology and test is a core part of our company philosophy. Inspection and measurement disciplines are embedded throughout the component manufacturing process in order to prove parts are manufactured correctly to specification. Investment in test engineering has resulted in unique facilities for functional testing of assemblies, with the capability to custom-design test equipment and processes for different applications and performance criteria. Reliance is committed to developing knowledge and understanding and has a strong appetite for problem solving. By understanding the issues facing our customers – technically, operationally and commercially – we are able to provide creative technical solutions. Our creativity is grounded firmly by our core company principle which demands that we can prove that our design and manufacturing solutions meet the customers’ specifications and performance criteria. You can download a copy of our Space brochure here. If you would like to discuss a potential project with the team, or find out more about our work in space, please contact us. To request a hard copy of the brochure, please email your name and address to sales@reliance.co.uk with the subject line ‘Space Brochure’.